Baird Funeral Home provides personalized and meaningful services to meet the personal desires of hundreds of families every year. Chapel Service - Floral tributes surround the casket of a simple chapel ceremony. Church Service - A Religious service at your church creates a meaningful ceremony. Graveside Service - A graveside service held at the burial site is one of several service options. Memorial Service - A personalized Memorial Service with floral tributes, photographs and memorabilia can be held in our funeral home chapel or a location of choice. Chapel Service - A contemporary or Religious ceremony can be scheduled in the funeral home chapel. Church Service - A church Memorial Celebration can be personalized with special family photographs and memorabilia. 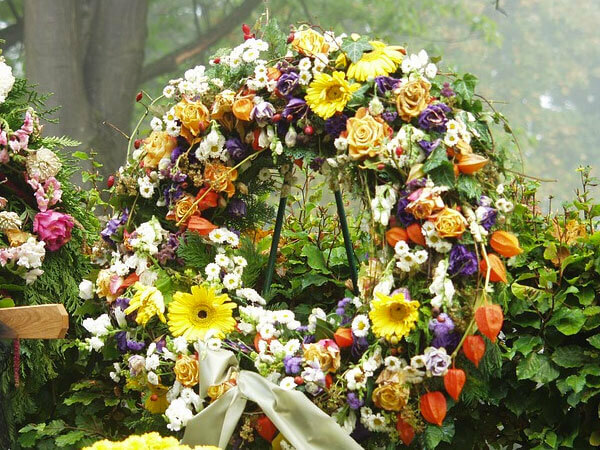 Graveside Service - An outdoors Memorial Garden gathering is one of several service options. Memorial Service - Memorial Registry Books, Memorial Service folders, Flag cases and personal floral tributes can personalize the service or ceremony of your loved one. Being Prepared: Preparing your funeral wishes in advance of need. Death Away From Home: Information everyone should know if your family travels or plans on moving away from where you call "HOME". Cremation Options: Various alternatives when cremation is chosen as final form of disposition. To have this literature and/or information on other topics sent to you, please e-mail us. Monthly Loss Support Meeting held at the funeral home on the third Tuesday of each month at 6:00 p.m.